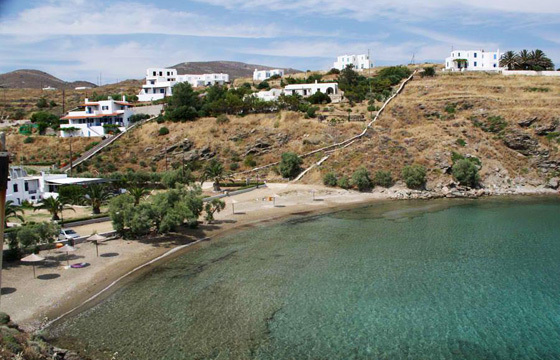 Megas Gialos is a holiday resort in the southern part of Syros. Its beach is very long, but quite narrow, and has tamarisk trees all along it. Megas Gialos is an organized beach with sand and a few pebbles, also offering the possibility to rent a pedalo and enjoy water cycling. Among the interesting things of Megas Gialos are the high reeds that stop where the sand begins. Around the beach there are taverns and apartments/rooms to let.